Do you want to measure Jio 4G speed on your phone? It depends on a number of factors and varies with time and place. 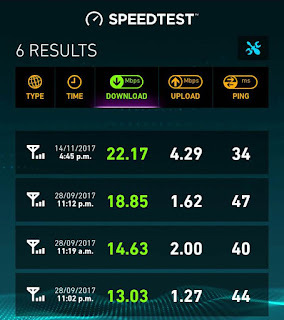 By measuring the Jio's internet speed, you will get an idea about how fast the Jio 4G internet works in your area and you can compare it with other networks. You can also find the best time period when downloading speed is at its peak. 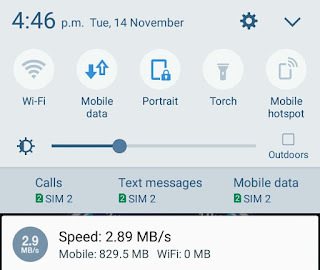 Android doesn't have a built-in feature to measure internet speed on your phone, but there are a number of third-party apps available that can help you to monitor internet speed and data usage. These speed monitoring apps can also show real-time internet speed in the status bar and notification. First, install SpeedTest app from Google Play Store and open it. Now tap "Begin Test" button. 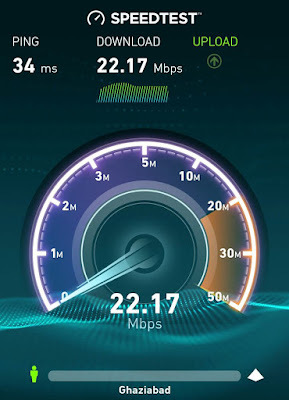 Once the speed test is complete, you can see the download and upload speed results and share them with your friends. You can move to "Results" tab to compare with previous results. SpeedTest sends a message to the nearest server available based on your device's location. Upon receiving that message, the server will send a reply back. The time period in this process is measured in milliseconds and it is known as ping. To measure the download speed, a chunk of data is downloaded from the server. 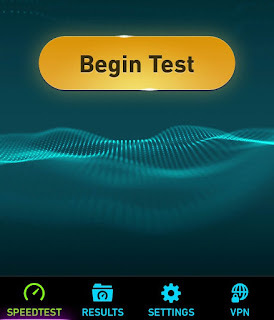 SpeedTest calculates the real-time speed of the transfers, then adjusts the chunk size and buffer size to maximize the usage of network connection. Similarly, in case of upload speed, a chunk of data is sent to the server and real-time speed of the transfers is measured. That's how SpeedTest works. 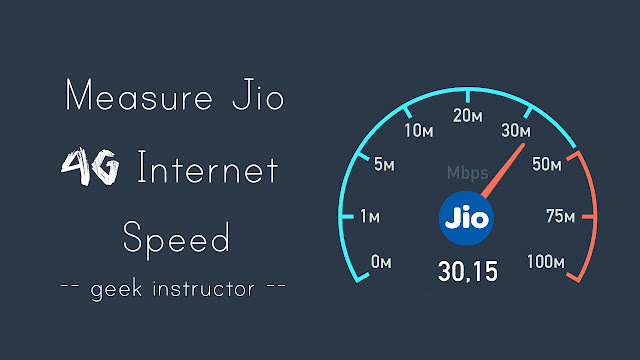 Internet Speed Meter Lite is another popular app that can help you to measure Jio internet speed on your phone. When you open this app, it will automatically start working in the background. You can see real-time Internet speed and data usage in the status bar and notification. Upon clicking the notification, you will see your mobile data and Wi-Fi usage report for the last 30 days. If you would like to add download and upload speed in the notification, go to "Preferences" and tick mark "Show Up/Down Speed" button. We hope you find this guide helpful in measuring Jio internet speed on your phone. You can use these results to compare your internet speed with other networks. If you want to ask something about this tutorial, feel free to share it in the comment section.